was the first thing that came to our minds, when entering the property of Hohe Warte 34, one of Viennas most beautiful and charming locations in the classy 19th district, for the first time. A „Garden of Eden“ for its future residents – the concept for this unique real estate project was instantly born. High-end architecture, sustainability, luxury and concierge services are just some out of the many features, framed by a stunning 10.000 sqm park which demanded for outstanding ideas and communication. Being involved from the beginning gave us the possibility to incorporate our full service spectrum from planning to visualization – from positioning and storytelling to campaigning. The 3D virtual tour played a vital role when it came to planning and communicating the Garden of Eden project. Not only the buildings and apartments but also the park was prebuilt virtually, giving its future residents a vivid first glance of their new homes – even before the foundation stone was laid. 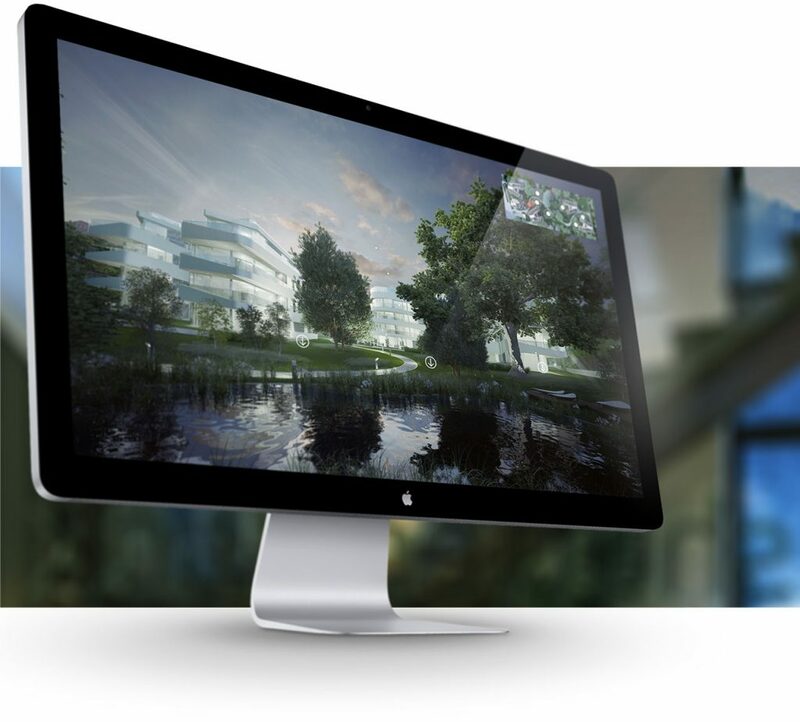 The 3D walkthroughs turned out to be a powerful and impressing sales-tool in each presentation. 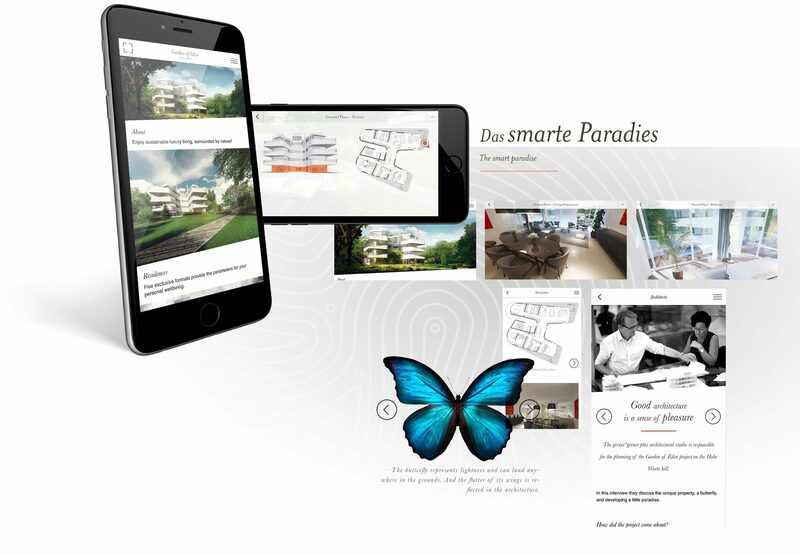 The Garden of Eden app is designed to last and reveals its power step-by-step: While it primarily serves as a sales-tool in the first phase, it converts into an intelligent smart-living remote control in the second phase of the project, with easy access to concierge services as well as selected home control features. It was clear from the beginning, that a simple folder would not live up to the exclusiveness and classiness of a project such as the Garden of Eden. 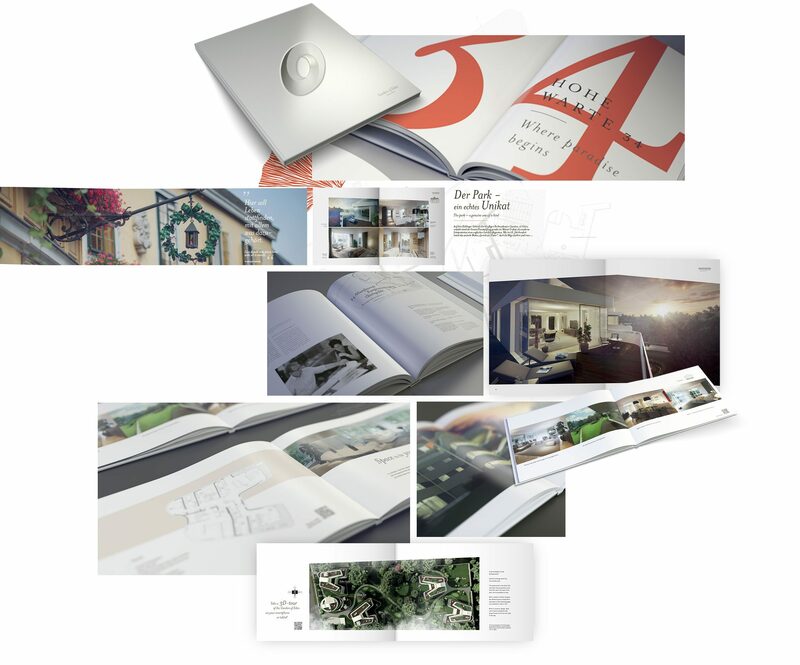 “The Book of Eden” with its more than 140 pages is a manifest to its unique architectural approach and reflects its sophisticated concept and inspiration. A precious giveaway for an exclusive target group. The inspiring concept and its stunning visualizations of the Garden of Eden provided the ideal basis for a unique campaign. A tailored mix of print, exclusive billboards and tailored online channels attracted considerable attention from potential buyers, the media and the general public likewise.